The Lake Erie Region Source Protection Committee released the Draft Updated Grand River Source Protection Plan for public consultation at their April 4, 2019 meeting. A 44-day public consultation period on the Draft Updated Source Protection Plan begins on April 8 and ends on May 21, 2019. A highlighted copy of relevant proposed changes to the Draft Updated Grand River Source Protection Plan, including Assessment Report, is available for viewing at the Municipal Office. The documents will also be available online at www.sourcewater.ca. The public consultation period on the Draft Updated Grand River Source Protection Plan is scheduled to start Monday, April 8, 2019, following the April 4, 2019 Lake Erie Region Source Protection Committee Meeting, and closes on Tuesday, May 21, 2019. Correspondence on updates for Melancthon are being considered at Council meeting on March 7, 2019. More information will be posted as it becomes available. With the warmer weather coming, the County of Dufferin Building Department is thinking summer and would like to know if extended hours at their Building Department counter will help you complete your next project? Join in on the conversation at https://joinindufferin.com/summer-building-hours and have your say. A paper copy of the survey is also available at the Township Office, if you prefer to complete it in person and Township Staff will forward it to the County for you! The Township of Melancthon implements half load restrictions on all municipal roads. The reduced load restrictions start on March 1st and continue to May 15th (the May 15th date is subject to road conditions). 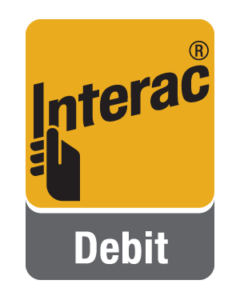 *NEW* – the Township Municipal Office now accepts Interac. The Council of the Township of Melancthon would like to thank those who submitted an entry for its Slogan Contest. The contest which ran until September 30, 2016 was open to Melancthon residents, Council Members and Staff. There were a total of nine slogans received. The slogans were reviewed at the October 6th Committee of the Whole meeting and voted on and the following slogan, submitted by Denise Holmes, was chosen: “Preserving the Past ~ Protecting Your Future”.